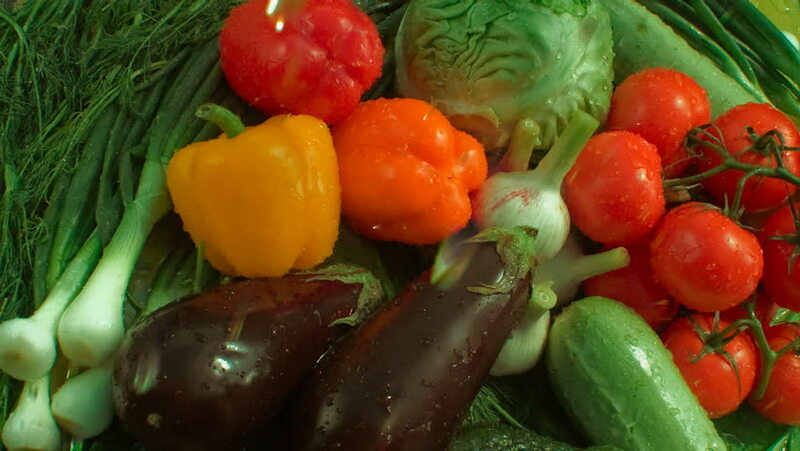 hd00:10Top view on various fresh vegetables. Healthy food is arranged in home kitchen. Organic food from farm market. Healthy lifestyle, vegetarian recipe.